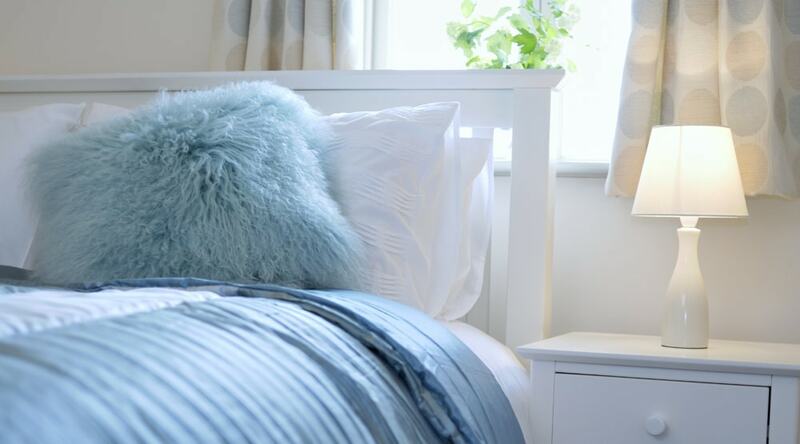 Our Interior Design expert Carlene Duffy shares 4 simple and inexpensive ways you can develop your personal style and enhance the serenity in your bedroom sanctuary. As our lives continue to become busier and busier, it is important that when we finally get to rest our weary heads at night it is in a space that feels welcoming, peaceful and like our own. Although the large percentage of time we spend in our master bedrooms is spent sleeping, there are studies around the importance of sleeping in a calm environment. There are huge benefits for our sleep quality and state of mind. More than that, why shouldn’t our own personal sanctuary be beautiful just for the sake of it? There is a very good chance that right now your master suite rocks white walls. 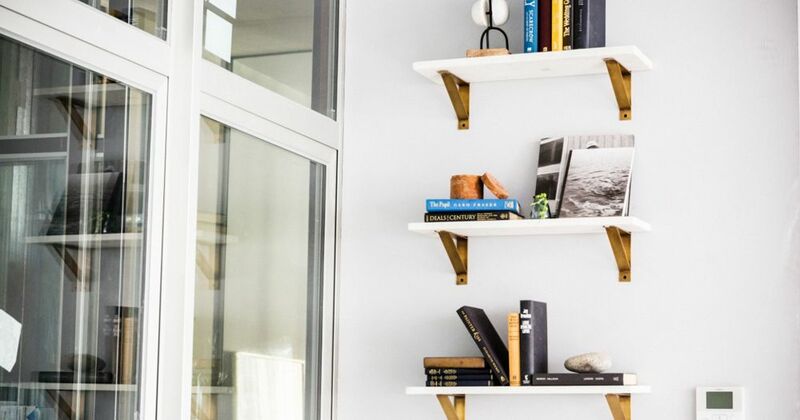 While white won’t date, if you want to transform your space the most impactful move you can make is painting your walls a more saturated colour. Consider a warm light to mid grey or deep navy, or even an ambiguous shade of green to inject some moodiness and personality into your space. If you choose to keep your walls white make sure the paint is true white (with a black base), not a yellow-white or a blue-white paint. Talk to your paint expert but know that achieving the right colour for your space usually requires a bit of trial and error. You will be stunned to see how simply replacing your bedspread or quilt cover can transform and lift your bedroom. It wasn’t long ago that everyone had white bed covers and while white will never really date, like white walls, it is playing it safe. Recently, we have seen a big shift to linen in block colours in a wide range of beautiful hues from steely blues to duck egg blue, dewy green and naturals. Also update your throw cushions with a combination of velvet, linen or sheepskin for lushness, texture and interest. For many, window dressings come as an afterthought in the decoration process but given that they make up a large part of our wall space they should be thoughtfully considered in your makeover process. Like all things, window dressing trends are continually changing and while timber horizontal blinds were in everyone’s homes not long ago, curtains have made a big impression recently, which I am personally quite happy about. Floor to ceiling curtains are an ideal means of softening space and soft is what we want in our bedrooms. Velvet and linen fabrics are bigger than ever and I am particularly fond of a pintuck (tufted) design for its classical, regal, old world charm. Depending on your scheme, you might opt for a bold pattern like a large floral or a geometric print for a contemporary, statement piece. If you are one to grow sick of your choices quickly, I suggest opting for a block colour bedhead so you can mix up the other items in your room more frequently rather than being subjected to high costs associated with reupholstery. This is just the tip of the iceberg. There are so many small changes you can make to your master bedroom to improve the feel of the space, including laying a rug beneath or next to your bed; updating your bedside tables and dresser; installing new bedside lamps, pendants or wall lights; and of course, hanging art. If you are craving change but apprehensive, work in baby steps but don’t be half-hearted. You know a change is as good as a holiday and we are all due one of those. Love interior design and thinking of a new career? Research careers in interior design here.